At a recent conference on Postharvest Technology Advances, Cristina Davis from the UC Davis Department of Mechanical and Aerospace Engineering presented information on the development of a device that can smell out trees infected with Huanglongbing (HLB). Scientists at UC Davis are refining a mobile chemical sensor that can detect diseased citrus trees by sniffing their volatile organic compounds (VOCs). VOCs are emitted by all types of plants and contribute to their distinctive odors—such as the perfume of orange blossoms and pungent scent of garlic in the air. VOCs must exist at very high levels for humans to smell them, and there are some VOCs people cannot smell at all. The machine is able to figure out the signature smells of HLB infected trees, sort of the way people evaluate wines with terms like “grassy”, “plum”, or “austere”, and distinguish them from healthy or trees infected by other diseases. Finding HLB-infected trees and eliminating them before Asian Citrus Psyllid (ACP) picks up the disease and spreads it to neighboring trees is a major challenge. 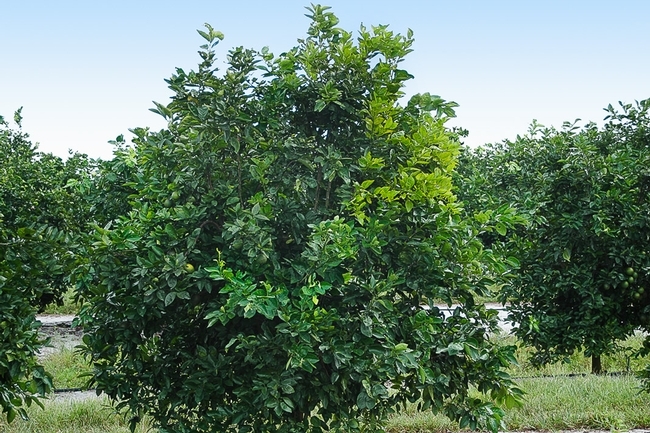 The pathogen in the tree cannot be detected by leaf testing for three to nine months after infection, and the symptoms don’t show up in the tree for a year or more after infection. Meanwhile, the disease can be spread by ACP. Research is under way to develop early HLB detection so that infected trees can be rapidly removed. Early detection will also allow researchers to more rapidly assess treatment programs for controlling not only the spread of the disease, but also possible cures or rootstocks or scion varieties that might have some resistance to the disease.